The UK Government is facing a major setback in its plans for the future of nuclear power stations in Britain, according to latest reports. Britain's main safety regulator has decreed that the nuclear industry's plans for new AP1000 reactors for power plants are unsafe. 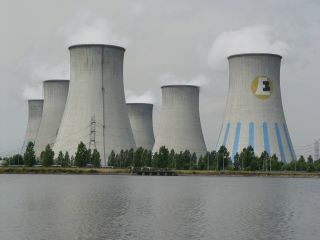 The Health and Safety Executive will therefore not recommend the latest plans for new reactors. "We have identified a significant number of issues with the safety features of the design that would first have to be progressed," notes the agency. "If these are not progressed satisfactorily then we would not issue a design acceptance confirmation." The safety body added that part of the reactor is "not entirely in alignment with international good practice". It concludes: "It is too early to say whether they can be resolved solely with additional safety case changes or whether they may result in design modifications being necessary." Nuclear energy consultant John Large said that: "The HSE as an independent agency will come under tremendous pressure to push through these designs. "But if it stands up to [the] Government and stops or delays these designs for two or three years until it is satisfied then developers could lose interest and we could fall behind in the queue of countries waiting to build nuclear."